Also new to our Wannekes online shop assortment is this Celtic Weave picnic rug. Ideal as a throw for sofas or beds or can be used as a large picnic blanket. 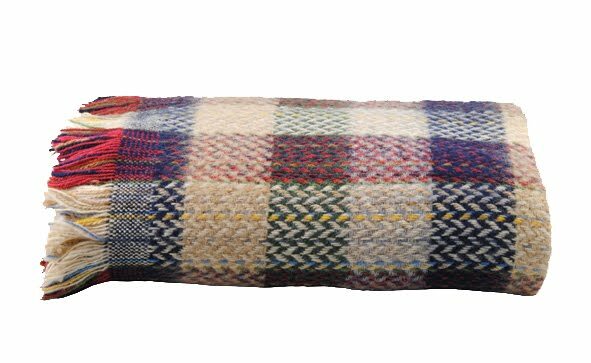 British made plaid or rug by Tweedmill. Woven from recycled wool, which has been re-spun to create this environmentally friendly product. Mixing tradition and modern this throws have a timeless elegance with a luxurious feel and will inspire and compliment any home. Available in 3 colour combinations.